Originally from Michigan, Jenna Huss moved to Florida for college. She attended the State College of Florida where she studied biology. In 2010, she applied for the Account Manager position with DMC Atlanta. Soon after she started, she was offered an administrator role and was quickly promoted to Lead Admin and Recruiter. 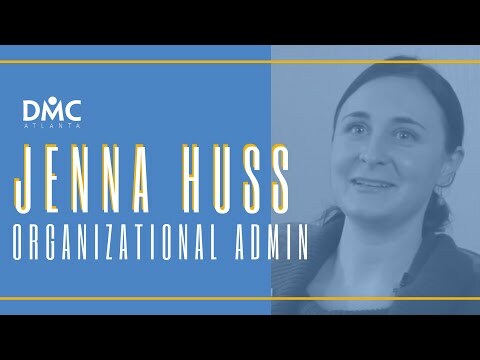 Jenna was promoted from Recruiting Administrator to National Head of HR in November of 2011 where she took on a more active role in DMC Atlanta's U.S. expansion. "I love working with DMC, everyone here is one big team. It is amazing to be surrounded by the atmosphere that is created by the bright and ambitious people I get to see every day. I also love working with a company that recognizes talent and focuses on the growth of the entire individual, not just their professional development. It is wonderfully refreshing and all too rare." After expanding from 11 to 33 markets in 2012 Jenna was promoted to Director of Operations. As Director of Operations, Jenna helped grow the organization to over 40 offices with plans to expand into over 100 markets. DMC Atlanta officially promoted Jenna to Vice President of Development in May of 2014.